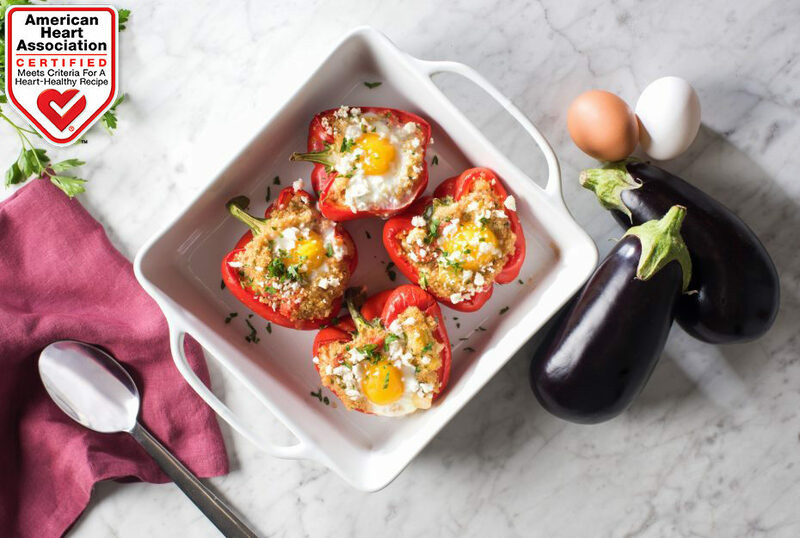 American Heart Association-Certified and just 210 calories per serving, this stuffed pepper recipe will fit flawlessly into a healthy diet. Preheat oven to 400 degrees Fahrenheit. Heat oil in large skillet set over medium-high heat. Cook onion, eggplant, garlic, paprika, oregano, salt and pepper for about 5 minutes or until eggplant starts to soften. Stir in tomato paste and cook for 1 minute. Stir in tomatoes. Cook for about 5 minutes or until eggplant and tomatoes are tender. Remove from heat and stir in quinoa and half of parsley. Spoon quinoa and vegetable mixture evenly into red pepper halves. Arrange in greased baking dish. Cover with foil. Bake for about 20 minutes or until peppers are tender-crisp. Remove foil. 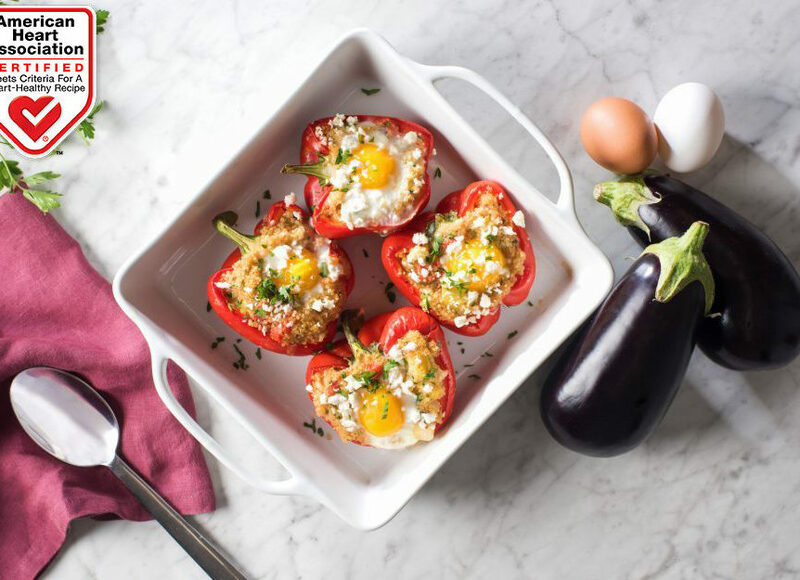 Crack egg into each stuffed pepper and sprinkle with feta. Bake, uncovered, for 10 to 12 minutes or until peppers are tender and egg whites are set or until desired doneness. Sprinkle with remaining parsley. Use smoked sweet paprika, if desired, instead of paprika. Substitute brown rice, farro or barley for quinoa.